The 1299 Panigale is a brutal superbike with a record breaking power-to-weight ratio courtesy of its Superquadro engine at 106.7 lb-ft.
At the top of the line-up is the R model but that sticks with the 1,198cc displacement of its predecessor to keep in line with World Superbike restrictions. With the top-end trim however comes a raft of race-ready equipment and features including Öhlins suspension. Despite its lower displacement, the 1299 Panigale R still generates 205hp, exactly the same as the trim levels lower down. 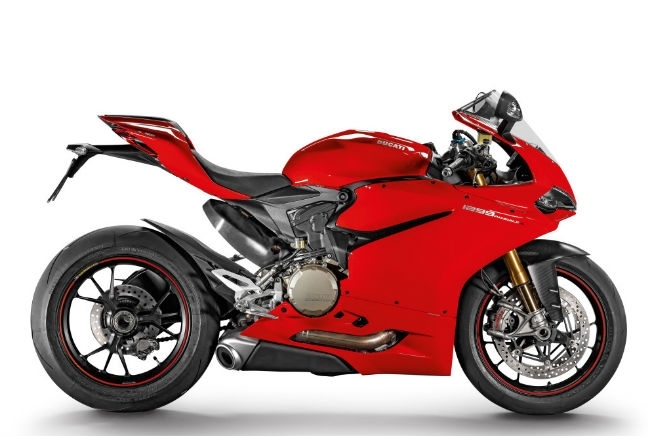 As standard, all 1299 Panigale models come with an Inertial Measurement Unit (IMU), ABS, Ducati Wheelie Control (DWC) and a Ducati Quick Shift (DQS) system for the first time on a road-legal Ducati.